When people keep dogs and other animals as pets, they need to keep an eye out for the safety of others. Whether that involves training the animal or keeping it restricted within a specific area, California law makes such efforts a necessary part of animal ownership. Injured After Being Bitten by a Dog or Other Animal? At the law firm of Corsiglia McMahon & Allard in San Jose, our experienced trial lawyers help the victims of dog bites and other animal attacks pursue personal injury claims against owners and their insurance companies. We work hard to hold the appropriate parties accountable. Contact us to set up a free consultation; call (408) 289-1417. You will pay nothing unless we win your case. Notable Case Result: $350,000 settlement for dog bite to face and hand of 12-year-old girl. Dog had no previous reported history of vicious behavior. 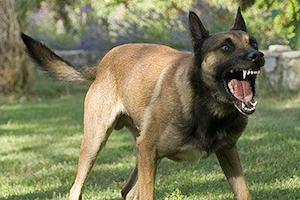 Other types of animal attacks can also have serious consequences. The San Jose dog bite attorneys at our firm work with top-notch expert professionals to evaluate the extent of our clients’ injuries and the lifetime economic and non-economic damages associated with those injuries. In California, owners of dogs and other animals have strict liability for injuries that occur due to bites and other injuries their animals inflict on other people. That means that if you are injured due to an animal bite, the owner is presumed to have been negligent in allowing the incident to happen. Our San Jose dog bite attorneys are experienced at helping clients pursue fair compensation from animal owners and their insurance companies. We will carefully document every aspect of your case and are prepared to go to trial if necessary. Don’t hesitate to contact us to discuss your claim; call (408) 289-1417. We serve clients in San Jose, Santa Clara, Sunnyvale, Los Gatos, Campbell and other Bay Area cities.